What do you do with 58 tons of keys, knives, and guns? Did anybody say… architecture? 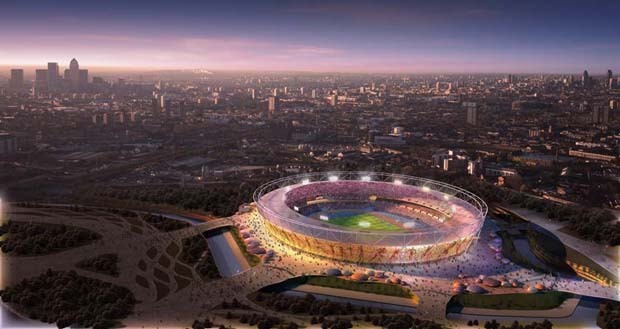 London’s police force collected 3,564 tons of recyclable waste last year, and it’s announced that some of the steel and iron from those seized weapons is being melted down for use at the 2012 Olympic site in Stratford. Additionally, 31 tons of bullets and casings (3.3 million of ’em) are being turned into jewelry and, for some reason, photo frames. And why not? The TSA seizes thousands of knives and guns every year (1.4 million knives and 1,101 guns in 2002), but instead of recycling, it sells them back to the public. Only, presumably, so they can be seized again. But of course, the biggest chunk of London’s police force’s carbon footprint–ours too–is made by squad cars. London’s guzzle 3.5 million gallons of gas a year. If only there was a way over that hurdle…and if only they could recycle the poor Olympic logo, too.